I removed it to see what it was accomplishing and found that my central locking now only locks and unlocks the driver's door. My central locking relay that goes in that socket doesn't have a pin for one of the terminals that the wire is going to. For now, I replaced it with a new bit of wire that isn't disintegrating. I assume this is related to the Viper alarm system a previous owner had installed? Does anyone have any ideas to clean up the install, if that's the case? Last edited by bmos; 11-14-2018 at 05:49 PM.. If you replace the relay will it unlock all doors...? It was probably wired to the viper alarm outputs to lock and unlock the Volvo relays. 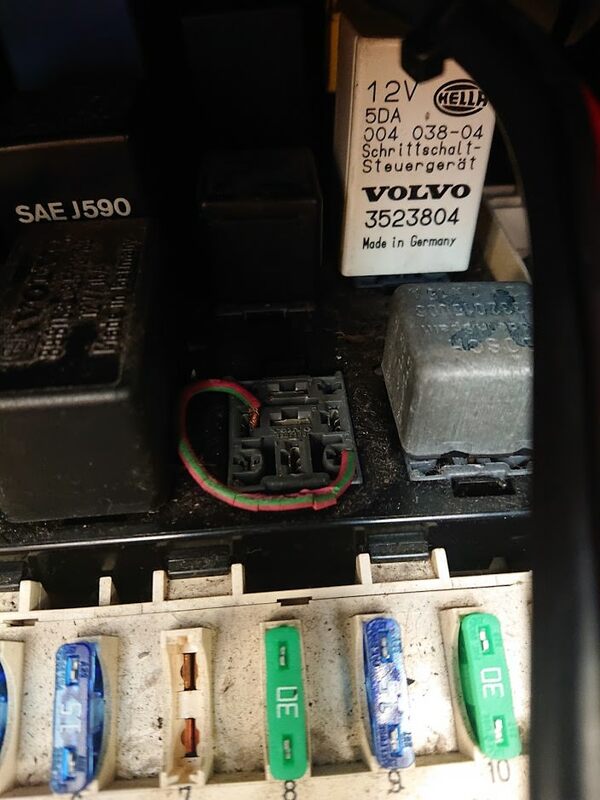 Use the Volvo wiring diagram to setup the relays so it works like Volvo wired it. Then you will see which wires come from teh alarm. I should have been more specific, sorry. The relay was also in the socket. I just removed it to photograph the jumper wire better.